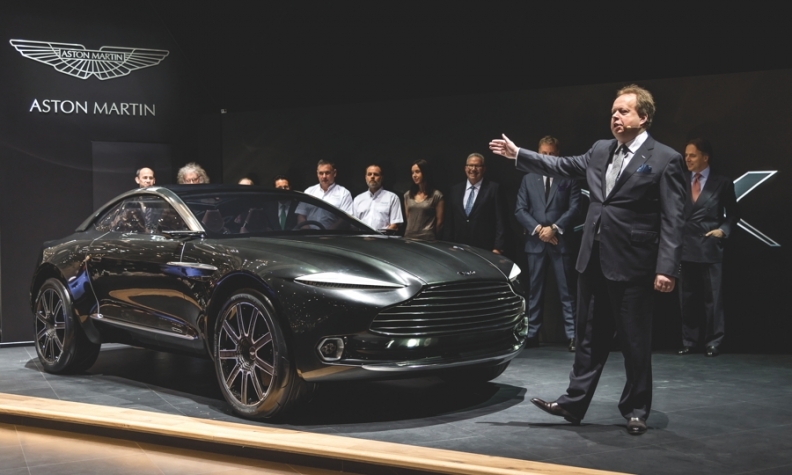 “Aston was still developing cars using a Ford system when I arrived,” said CEO Andy Palmer, who is seen here with the DBX crossover concept at this year's Geneva auto show. Aston Martin CEO Andy Palmer is streamlining outdated development practices inherited from Ford as part of a long-overdue reboot of the supercar maker. “In the past we launched a new car every five years. I've got four cars under simultaneous development right now. We need to be quicker, leaner and being independent we need to be agile,” Palmer said. He didn't inherit much agility when he took over a year ago. That system also requires more people than Palmer believes are needed today, which is why Aston Martin plans to cut 295 jobs from its 2,100-person workforce. Palmer says the manufacturing team is safe while the sales and marketing as well as the design and engineering departments are about to get smaller. The move toward computer simulation to create today's vehicles is one reason why Aston Martin needs fewer designers and engineers -- despite ambitious plans to offer more models. “Developing cars has changed enormously over the last 12 years. Now you have way fewer prototypes, way less testing, but more upfront analytics and simulation,” the CEO said. He cited the huge reduction in the number of clay models needed while designing a car as one area where Aston has sped up the development process and saved money. Aston Martin's first new car -- the DB11 -- will replace the company's DB9 supercar. In addition, the company will replace the entry Vantage and the range-topping Vanquish while also adding a new sedan and a crossover. The crossover will be based on the DBX concept that Aston Martin unveiled at this year's Geneva auto show.